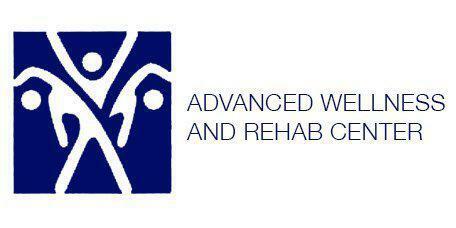 At Advanced Wellness and Rehab Center, Dr. Reynardo Adorable and his staff specialize in ergonomics and helping their patients create an environment that is conducive to good health. Patients in the Carrollton, Texas area who have questions about ergonomics and how it can improve their health, should contact the facility for more information. Ergonomics involves the study of making a person's environment more efficient and increasing their ability to be more productive. Ergonomic desks and office chairs are designed to cause less stress on the body so the person is more comfortable and at ease while they’re performing their duties. Individuals who are required to sit or stand for long periods of time as part of their job can end up with an increased risk of injury to their back, neck, shoulders, and legs. Stooping or bending over can lead to back strain and discomfort. Ergonomics corrects posture by taking stress off of areas of the body that are forced to remain in unnatural positions for long periods of time. Does ergonomics help with posture correction? Individuals who have difficulties with their back, neck, and shoulders may be able to correct their poor posture with ergonomics. As a person performs their duties at work, they may be required to stand or sit in a position that forces their back to remain in an unnatural position. Using ergonomically designed chairs and supports, the person may be able to correct the problem and restore proper posture. Maintaining proper posture increases the strength and tone of the muscles in the back and neck so they’re better able to function properly. When individuals can maintain proper posture while performing their duties, they experience less discomfort and are more productive on all levels. Can the use of ergonomics prevent injuries? Using ergonomically designed tools, such as desks, chairs, and other tools, a person is less likely to experience stress and strain on certain areas of the body. This increases productivity and boosts morale, while at the same time, dramatically reducing the risk of work-related injuries. Ergonomically designed tools and appliances also reduce the risk of Workers’ Compensation cases. When a person is comfortable, they function more efficiently. Poorly designed tools can cause a person to hurry through a job or activity. This can lead to mistakes and accidents that eventually result in some form of injury. Using the study of ergonomics to design a more productive work area allows employees to feel at ease and work in a safe and comfortable environment.